Indian Head Massage is a treatment based on old Ayurvedic techniques involving work on the upper back, shoulders, neck, scalp and face. I also include a few Chinese head massage techniques for added therapeutic benefit. A variety of massage movements are used, designed to relieve accumulated tension, stimulate circulation and restore joint movement. Indian Head Massage may help reduce stress, tension and fatigue, increase mental clarity, and relax and rejuvenate the receiver. 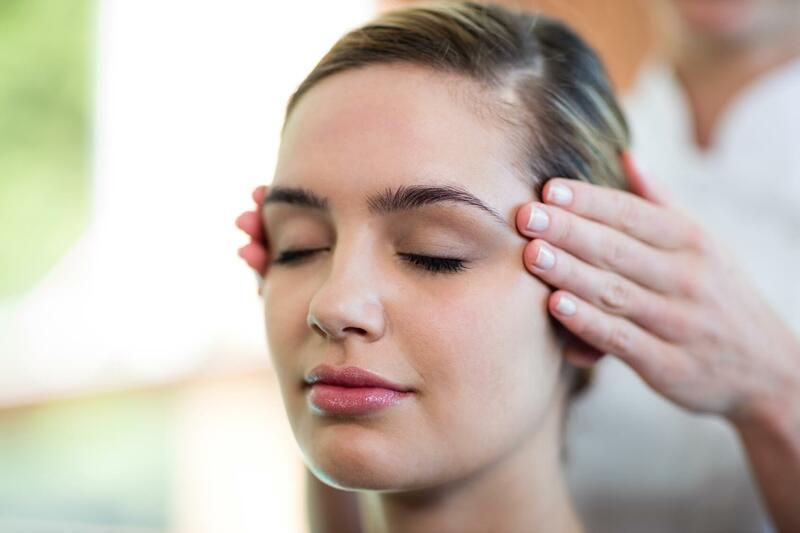 Indian head massage is thought to help increase joint mobility and flexibility in the neck and shoulders, improve blood circulation and lymphatic flow, free knots of muscular tension, relax connective tissue, and may also aid in the elimination of accumulated toxins and waste products. This is a seated massage, where you sit on a padded chair, with a towel wrapped round the top half of your body (I will give you privacy to get prepared), with only your upper back exposed. It is possible to do Indian Head Massage fully clothed, but in my experience it’s more pleasurable if scented oils are used.The treatment starts with me massaging oil into your upper back and shoulders. I then start working on your shoulder blades, rhythmically massaging around them to ease away any tension. The tops of your shoulders are next, then your neck, your head and finally your face. 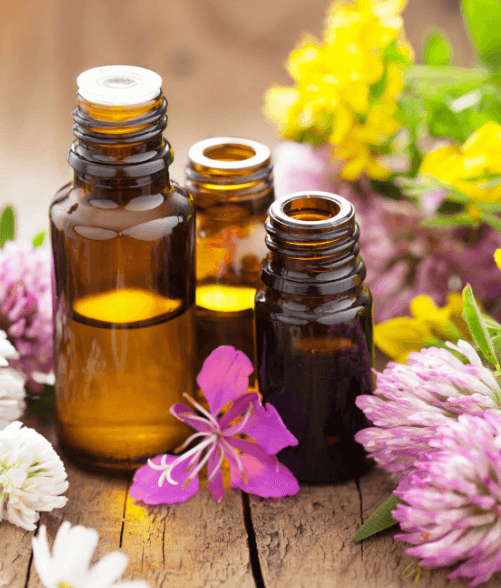 Unless you prefer me not to, I use scented massage oils during the treatment as I feel they enhance the experience not only because they smell lovely, but also because they enable me to massage more smoothly and deeply. Although I use fairly standard Indian Head Massage techniques, I tend to spend more time on the areas where I can feel the most tension, incorporating extra techniques where I feel they will be beneficial. At the end of your treatment, I wipe away any excess oil, and leave you to get dressed. I started seeing Sue for reflexology about two years ago and it has made a big difference to my wellbeing, especially with the Indian Head massage added on at the end. I cannot emphasise enough how much pleasure I get from the treatments. I enter a place of total relaxation, calm and wellbeing. Sue’s touch is full of care and consideration for your needs and makes you feel you are in a haven of total tranquillity to the point I find it hard to open my eyes at the end of the treatment. I have a 30 minute Indian Head massage which feels longer and I totally zone out and lose track of time. I have recommended Sue’s treatments to my friends who have also said they will be definitely using her again.